While it’s certainly admirable to carry a life philosophy of “Go Big or Go Home,” that doesn’t always have to be the case, especially if you’re looking to unknot your muscles, loosen your nerves, and relax your soul. Every road trip doesn’t have to be a gunning blast across the country and the desert’s beauty can be as impressive as forests or cities. Watching sunsets sink into the sandy and stony hills of the desert plains is an other-worldly experience. 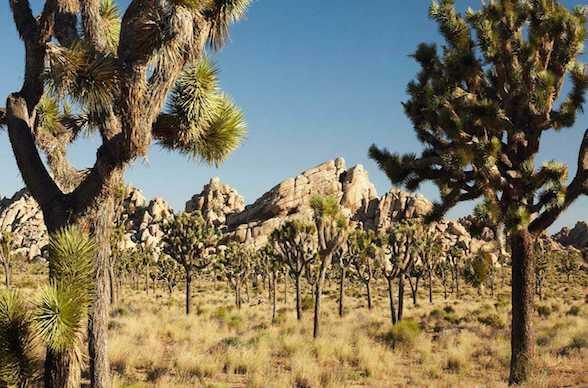 Now, if you’re aiming to do just that in Southern California, there’s one place every local can agree on, whether they’re a musician or a rock climber: Joshua Tree. Yes, the landscape is rugged and the sky seems to trek on forever, but dotted throughout the wilderness are getaways and venues that’ll have you considering an indefinite life in the wild. 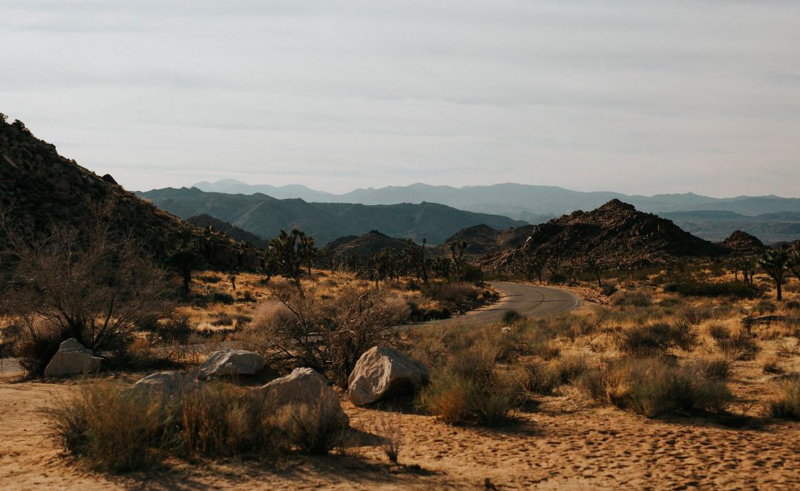 If you’re road tripping through Joshua Tree, we’ve got the places you need to see. Folksy, peaceful, and filled with natural light, this contemporary outpost of the mid-20th Century is the perfect balance of desert life. Formerly owned by state legend Huell Howser, the ranch-like retreat has totally unobstructed mountain views while being just a jaunt from Palm Springs. Weaving indoor and outdoor spaces in style, this fortress of solitude sits on 11 acres of picturesque California. Surrounded by what was once—and still is at first glance—the Wild West, this villa-esque inn features rich eastern touches of aesthetic and design. Poised on a hill at the national park's western entrance, this joint is high desert living with all the luxury, privacy, comfort, and beauty of a city loft. Plus, it’s hard to beat the view. 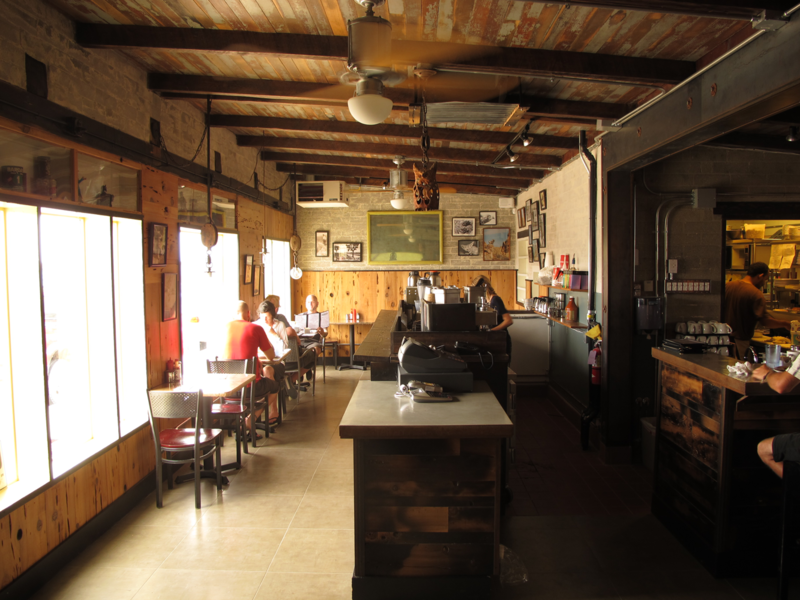 Take your sweet time at the rustic, wild, and adored roadhouse. With classic American fare, mason jar drinks, and live music, it's like stepping back in time to when things were simpler. 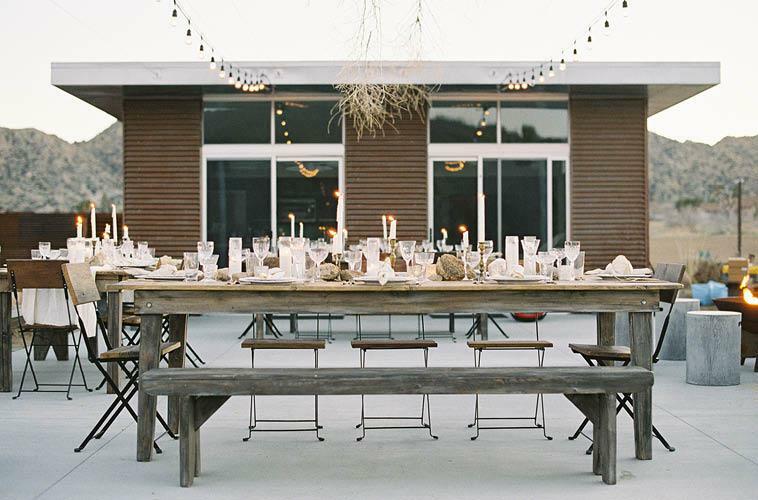 It's a legendary place to get married, see friends, eat barbecue, and celebrate the desert’s grand country life. 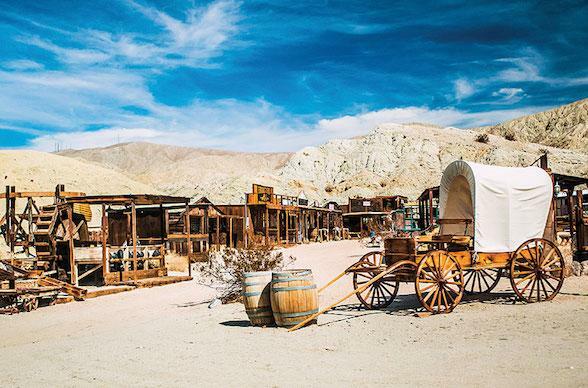 If you're really looking to disappear into a classic western lifestyle, this is surely your best bet. You don't just score a home away from home here. At this 19-acre property, you scoop a gorgeous homestead alongside a movie set that includes a saloon, a barber shop, a jail, a general store, and a hotel facade. This is where you really get to live out your cowboy and cowgirl fantasies. 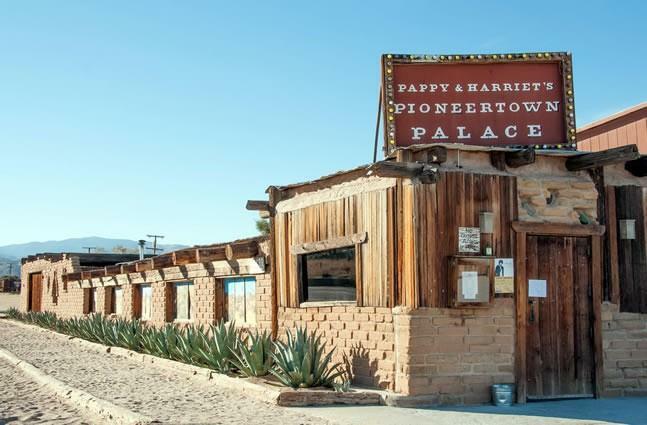 A desert community that started as movie set for westerns back in the day, Pioneertown has a small population with big heart. It also hasn’t changed much. Heck, the place makes for the closest thing you have to traveling back in time without any kind of machinery beyond a car. 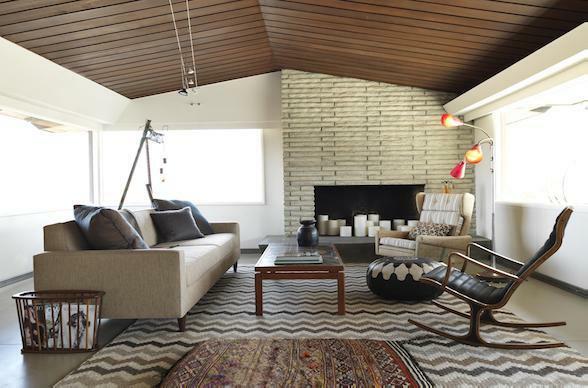 Escape the modern era by making your way to this 1940s desert hacienda. 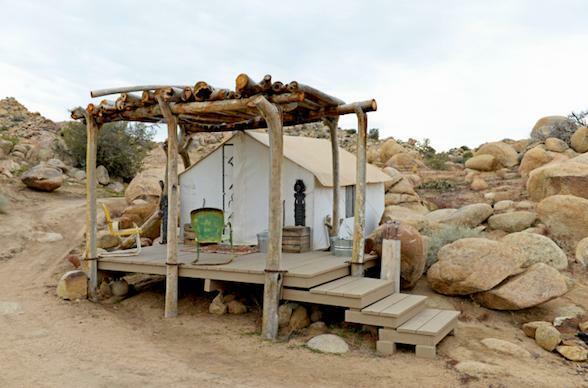 Surrounded by more than hundreds of Joshua Trees, this quaint abode for artists, adventurers, and romantics has what you need to soothe your soul. There's a porch perfect for sunsets and a hot tub ideal for stargazing. 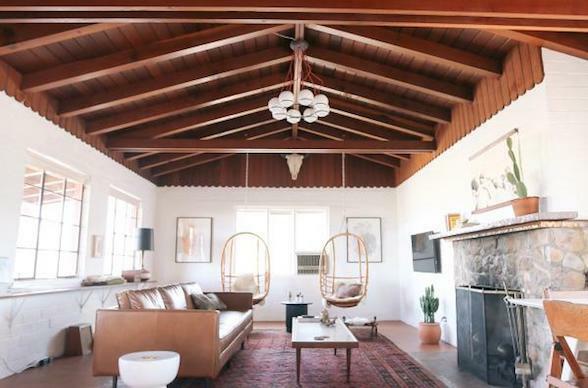 Good luck leaving a life of morning coffee surrounded by Spanish tiles, shiplap ceilings, and windows that flood with spectacular desert views. Practically an unofficial visitor center, this place promises arrivees a wonderful spread of food, cocktails, and friends. 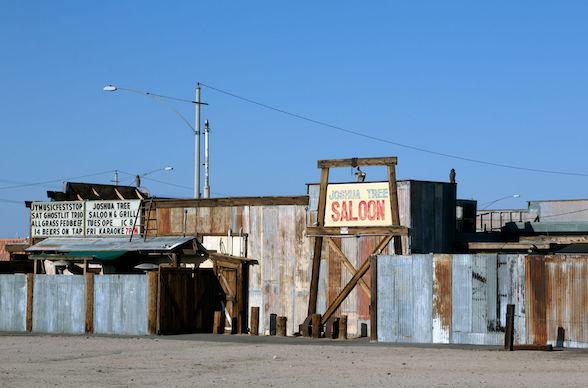 An Old West vibe welcomes you and yours to the local hang, complete with pool and darts. 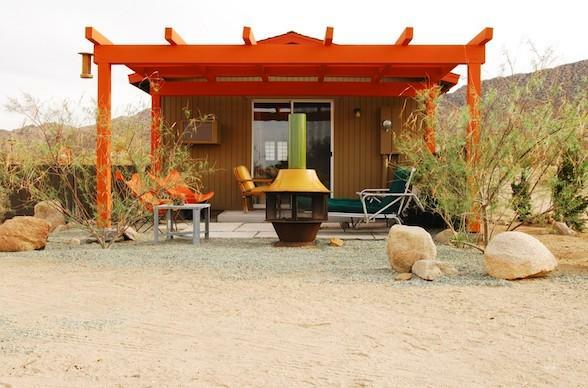 Each of these mid-century desert oases call five acres of private land home. With each house having an outdoor jacuzzi and a supply of firewood, these contemporary cabins, houses, and ranches give you plenty of room while making you feel cozy. Seclusion doesn't mean isolation, however, as guests can enjoy community yoga classes, massages, and art events. Built by Hollywood studios following World War II, this modern marvel has scenery as lush as its cinematic history. You could mistake the interior for a big city loft, in all honesty. Totally intimate on the high desert range, this getaway doesn't mean guests have to keep to themselves. The beloved musical roadhouse that is Pappy & Harriet's is just down the way. What better promise is there than "a fusion of art, science, and magic?" That's what makes this energy machine such an extraordinary and intriguing stop in the desert. 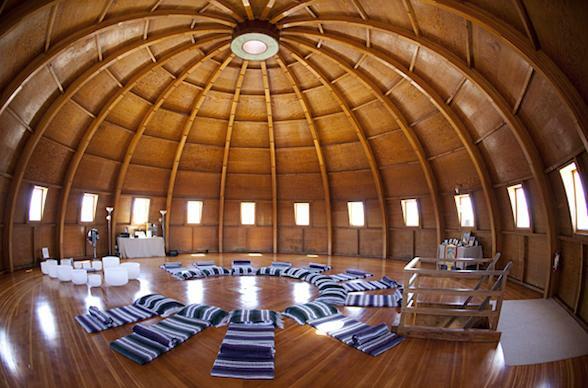 This one-of-a-kind wooden dome was meant to power rejuvenation and time travel. How could you possible pass this up? On five acres of stunning natural landscape, this charming and colorful sanctuary makes for an unforgettable stay. Amazing views surrounded the abode, ideal for a couple hiding out together or a pair of artists working on big things. 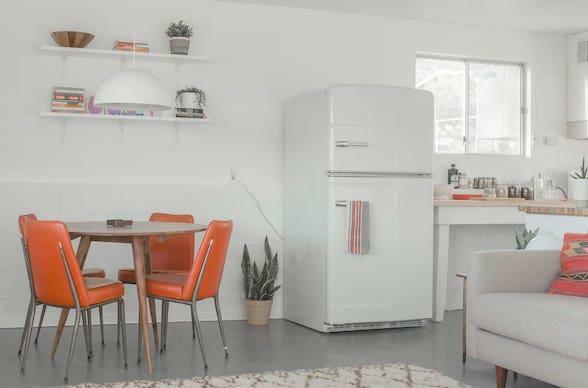 Guest suites, glamping tents, and a vintage Airstream trailer make this spot in the desert one for the books. Big celebrations and intimate gatherings do equally terrific here at this exquisite high desert setting that’s surrounded by acres of pristine wildlands. Truly unique, with architecture and fine artistry at every turn, this sanctuary is a visual adventure of Moroccan, Indian, and Tibetan inspiration. Quaint as they come, this roadside gem serves up breakfast, burgers, and more, all with fresh ingredients and a nod to the healthy. It’s classic American roadside that’s all too aware of the changing times. It looks like a western diner, but it has flavors that’d impress anyone from the big cities on either coast. An extraordinary stretch of desert wilderness, this national park is southwestern paradise. Known for its camping, hiking, climbing, and astronomy, the geological idyll welcomes any and all visitors with more than enough room for adventure, romance, and everything in between. This wonderfully unique spot proves that nowhere can always be somewhere. 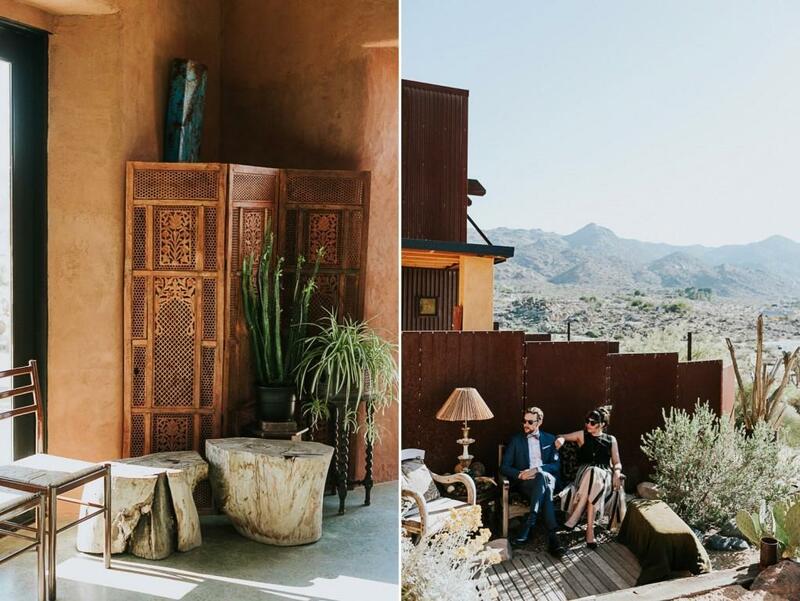 With ancient desert ruins and plenty of bistro lights, this rustic oasis—once a stone abode to dearest locals—was renovated with skilled yet minimalist craftsmanship to make a venue that seamlessly blends into the landscape.